I'm working on a large robot based on an idea that Kimberly Thompson, The Director of Exhibitions and Studios, at the Mosesian Center, floated by me. 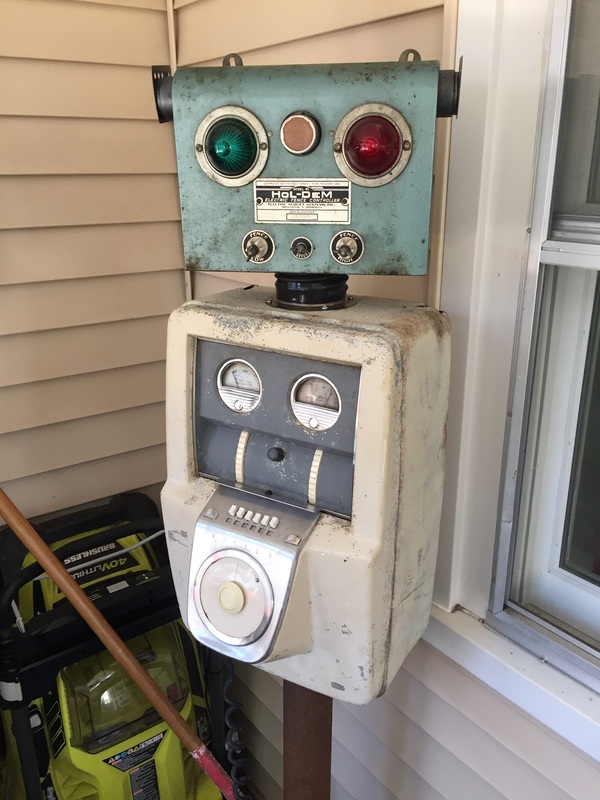 She suggested a Donation Robot to use as part of fund-raising events. It would help make donating fun and generate some advertising for me. I liked the idea and have been working it steadily. Here is what I have so far. I got the body from a guy in Northfield MA (thanks Zach!). Nothing like driving 90 miles to get a free piece of junk from someone you never met. 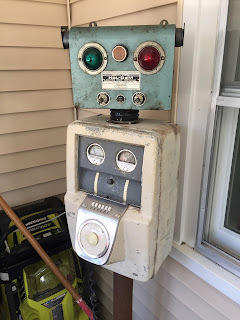 The body is an old dental x-ray machine, the head is an old electric fence transformer. Now I need to figure out the arms and how to make it a little more interactive, but I love what I have to date.